Working memory is remembering and using information while in the middle of an activity. For example, when you are cooking, you are using working memory by remembering all the different steps of a recipe. In the early years, children use working memory to learn their letters, sounds, shapes and colors. Later on, it is a crucial skill for taking notes and following multi-step directions. It also plays an important role in reading comprehension. You can help develop your child’s working memory skills through fun games and practice. 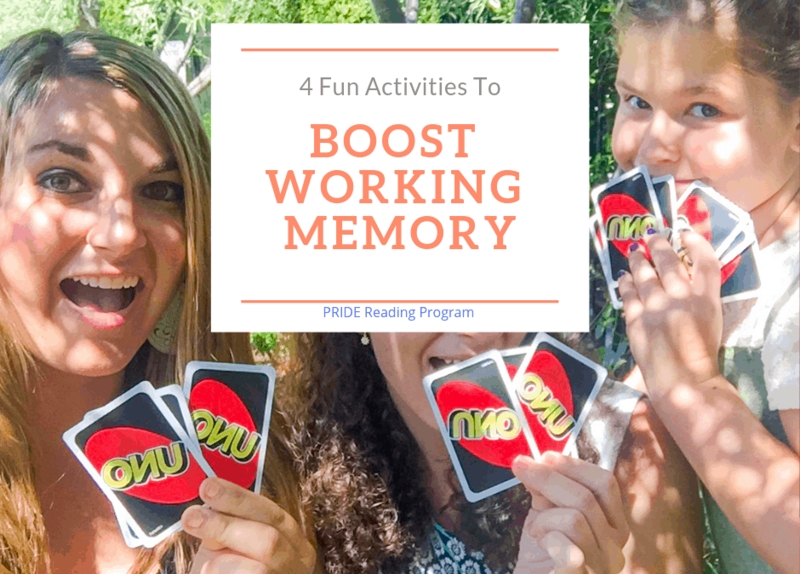 On today’s post I am going to share with you some fun activities to boost working memory skills with your children. Playing cards is an excellent way to improve working memory. When your child has to remember the rules of the game, which cards he or she is holding while also remembering the cards the other players have played, your child is exercising working memory. 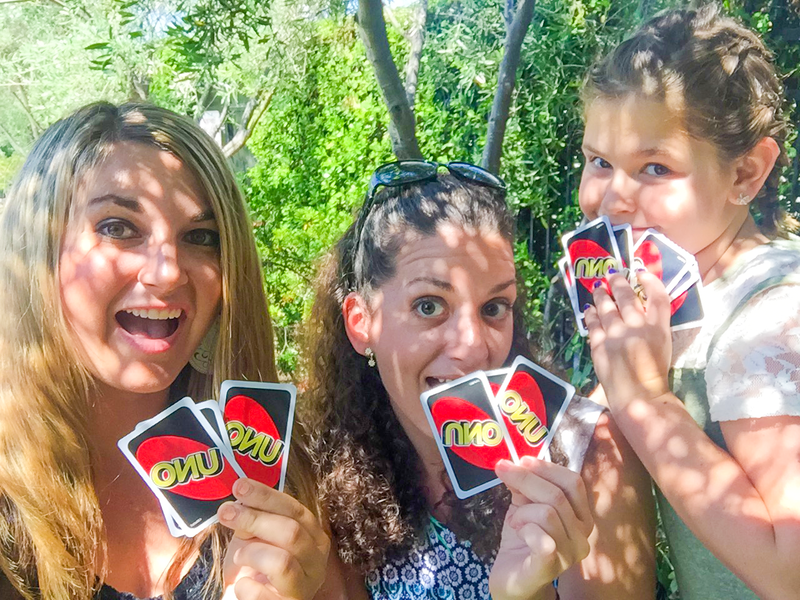 Playing 10 minutes of Uno, Go Fish, Crazy Eights or War each day is so easy. You can carry a deck of cards with you anywhere. Plus, kids love card games. This game is so simple, yet so powerful. It really helps kids boost their working memory skills. The memory cards are placed face down. Your child will pick up 2 cards trying to make a match. If the cards do not match, then the child has to put it back face down (exactly where it was). Then it is your turn. If you make a match, you keep the cards. While you are turning over the cards, your child has to focus on the cards at all times, in order to remember where the card was placed. Whoever gets the most matches wins the game. Can you see how this game really builds memory skills? You think of an object and your child asks up to 20 questions that can be answered only with “yes” or “no.” Then switch roles. The objective is to remember the clues and guess the object. This is a great game to help your child’s working memory because it challenges them to think beyond what they can see in their current surroundings and forces them to visualize. 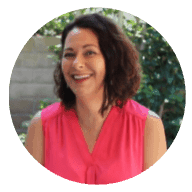 I hope you enjoyed reading this post today! If you have any wonderful activities that you want to include on this list, please share with us in the comments below. 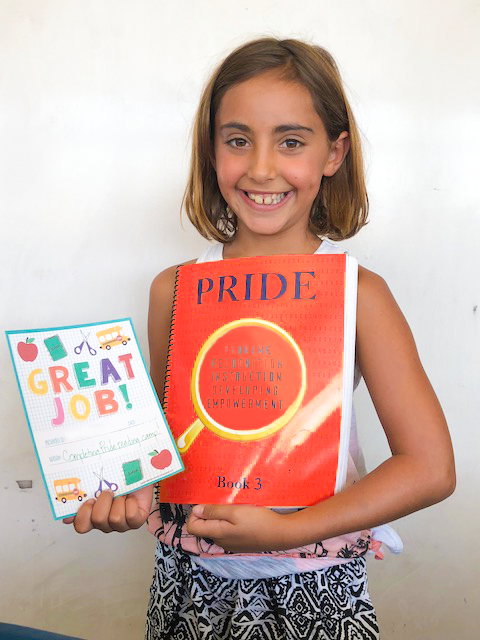 While you are here… check out the PRIDE Reading Program! This Orton-Gillingham reading curriculum is heavily scripted out and easy to use. 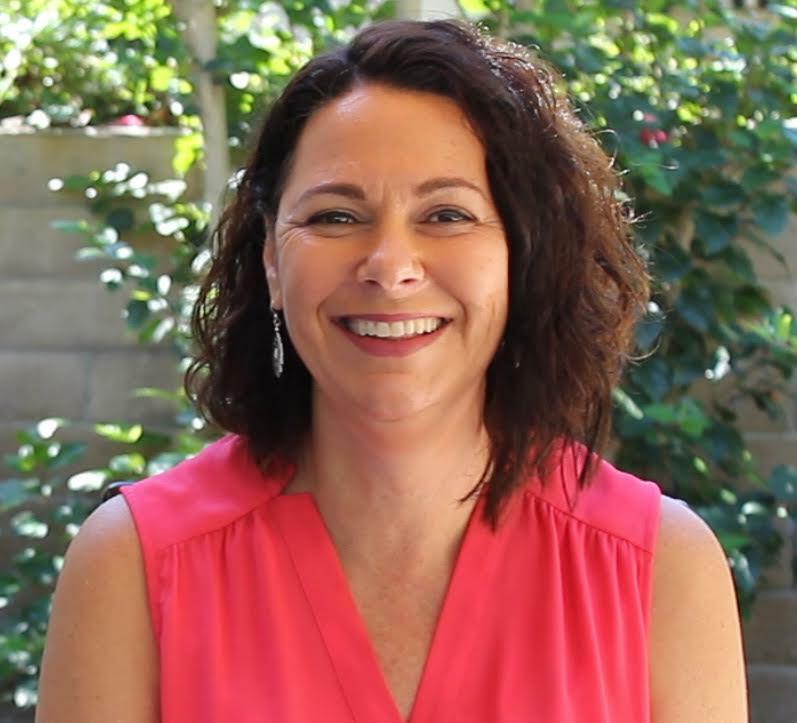 It is perfect for teachers, tutors and parents.